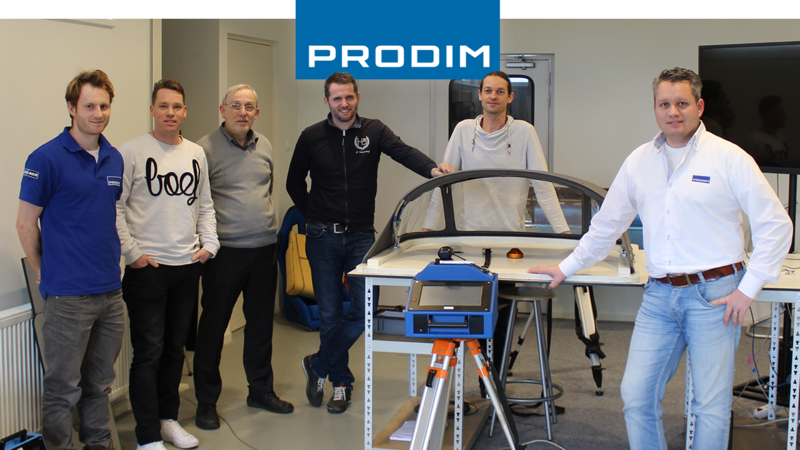 This week a motivated team from Pro-Seal finished their 2-day training at Prodim. Pro-Seal zeilmakerij BV, based in Eindhoven (NL), is a manufacturer of canvas products. Their main activity is the fabrication of sails for the industrial market, but they also supply to the consumer market. Furthermore they produce boat covers, tents, awnings and banners. For this purpose Pro-Seal invested in a Proliner 8CS with dedicated software to create accurate digital templates for the production of their canvas products. Following the industry trends Pro-Seal recognizes the need to digitize their production process and chose the Proliner to start with digital templating. Their goal is to use the Proliner measurement data directly for production without the need to create molds anymore. We will follow their progress with great interest.